I HAVE SEARCHED UNTIL I CAN'T SEE STRAIGHT ANYMORE. I HAD NO IDEA THAT SO MANY CLOCKS HAVE BEEN MADE BY GAZILLIONS OF CLOCK COMPANYS. PLEASE HELP! THE FIRST CLOCK I AM TRYING TO FIGURE OUT IS I THINK A JUNGHANS. 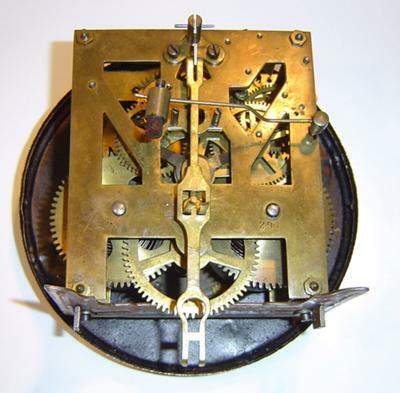 IT IS A REGULATOR WITH GLASS FRONT AND GLASS ON BOTH SIDE IN A WOOD CASE . THE CLOCK WORKS ARE NOT SIGNED AND ONLY HAVE NUMBERS ON THEM. ON THE LEFT IT IS STAMPED 42/105 ON THE RIGHT 291. I WOULD BE VERY HAPPY TO SEND MORE PICS OF THE CLOCK TO ANY ONE WHO CAN HELP ME IDENTIFY THIS CLOCK.